Katherine is a Priestess of the Cycle of the Rhythms of Life. Ordained as a priestess in the Order of Melchizedech in 1993, Katherine views her life as art, as ritual. She feels most deeply that our passages through life are noteworthy events with which we express our unique selves and values. With heartfelt gratitude Katherine offers ceremony which brings meaning to our daily lives. Her joy is to help people create the wedding or life passage celebration of their dreams. Katherine has a background in sociology, psychology, philosophy and world religions. 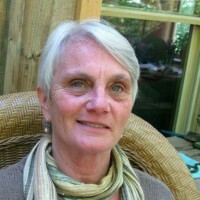 She is a reiki practitioner, a meditator, a mother. Guiding women’s circles for over 25 years, officiating weddings for 20 years, counseling friends and family on their spiritual journeys, she brings her 63 years of life experience to all her ceremonies. Drawing from a variety of traditions, encompassing Celtic, Christian, Sufi, Judaic, Native American (north and south) including those of your unique visions and beliefs, she is skilled in bringing depth and compassion and love to your most special and personal occasion. Katherine is legally certified in the State of Virginia to perform weddings. While most of her weddings are in southwestern Virginia, she has traveled to many other areas (as far as Utah and Rhode Island!) and can officiate weddings in most states. She also has a good grasp of the Spanish language and can officiate ceremonies in Spanish as well as English. 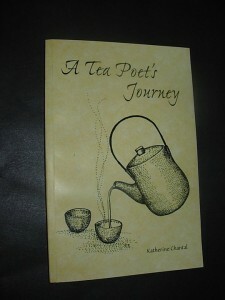 Katherine’s love of tea and her penchant for writing inspired the creation of a book of poems all about tea. 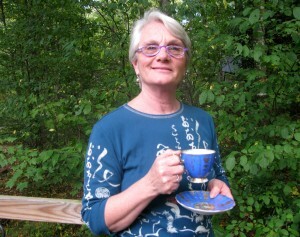 Published in 2012, “A Tea Poet’s Journey,” was her 60th birthday present to herself! Email for book inquiries. Katherine Chantal is an Interfaith Minister and Priestess who works with individuals, families, and couples to ensure that celebrating your life's passages is a joyous and unique experience.